- "Create RPL from phone" added. This is used to backup possible security data from phone in original NMP RPL format (plain one) this includes WMDRM Backup, All low-level certs (Nokia Public Certificate, Common Configuration Certificate, Hardware Certificate, VARIANT Cert), and Original SIMLOCK (only on PA_SL2 Phones !! ), which can be used to simlock restore / counter reset / PM 308 recreate - if needed - this data is sent directly to SIMLOCK SERVER directly so SL recreate is 100% "legal"
- Added Codes Counter Reset for PA_SL2 phones. Used to reset Keyboard/FBUS Code Counter. - Added BB5 NCK Code FBUS Send (#pw+xxxxxxxxxxxxxxx+y), use especially when Keyboard counter is locked. - Added BB5 NCK COde KEYBOARD Send (#pw+xxxxxxxxxxxxxxx+y), use especially when FBUS counter is locked. - BB5 SL Import added. Used to import previously exported "SL5" structure to phone upon BB5 SP Initialization. - BB5 PM -> Simlock RPL added, if PA_SL2 phone - use if simlock has been corrupted, and you have only PM backup. If PM have needed fields, it will create plain RPL file which can recreate simlock for you without headache. - Added "BB5_Autolock_IMSI.sl5" in UnlockData. 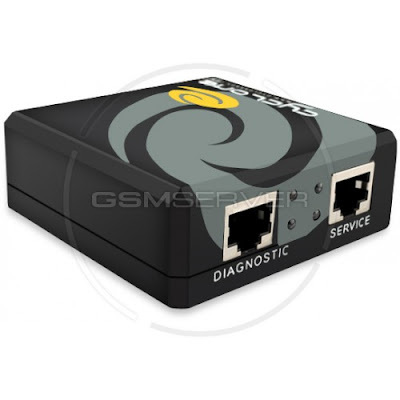 Use with IMPORT SL5 in order to AUTOLOCK BB5 phone to IMSI (one sim card). - Added "BB5_Autolock_MCCMNC.sl5" in UnlockData. Use with IMPORT SL5 in order to AUTOLOCK BB5 phone to MCC-MNC (operator). - BB5 Plain RPL Write added. - Added "UB Backup" option while writing BB5 Plain RPL (SIMLOCK AREA), since they aren't adding SHA-1 before SIMLOCK_DATA in RPL file - it needs be skipped in case. - Added "Erase Security" option before RPL write. This is used when phone have problem with PM 308 blocks (downgrade, for example) and can't boot to accept superdongle / simlock data - in case, no need to full erase in case. Keep note that after RPL write YOU NEED SX4 Authorization with server and writing PM Fields 1 and 309. Otherwise your phone will fail to pass ST_SECURITY_TEST, and in effect will not boot. - DCT4 Nand MASS MEMORY Partitioning added before write. May be skipped ticking apporiative Skip MM Part button. - DCT4Plus partials with version 6.82 have now removed from supported UPP list ASIC ID "3168" which is not unlockable (for now) with rom 0600 to avoid destroyed phones (no signal), in case you will got message "Not supported UPP ID", but your phone SL area will be untouched and after flash it will still work. -- TX2 Output pin is now constant (Service Pin 3) due to many mistakes on user side. -- Flash write speed optimized, should be around 10% - 30% faster, especially on NAND-ONENAND phones. More optimizations to come. -- Erase status is now signalized by USB (red) led. !! WHERE TO DOWNLOAD !! !! UPGRADE YOUR BOX FIRMWARE to version 1.03 !! Of course we can't force you to do that, but you will loose some functionality (CBUS Flashing, UEM Reading, VISTA Support, etc). !! UPGRADE YOUR BOX DRIVERS TO VERSION 1.0.0.4 !! Drivers should be updated automatically after installation using DPInst, but who knows. You don't need to uninstall previous installation. Just install this version and It will automatically purge previous one (delete old drivers, loaders) and install just new one.